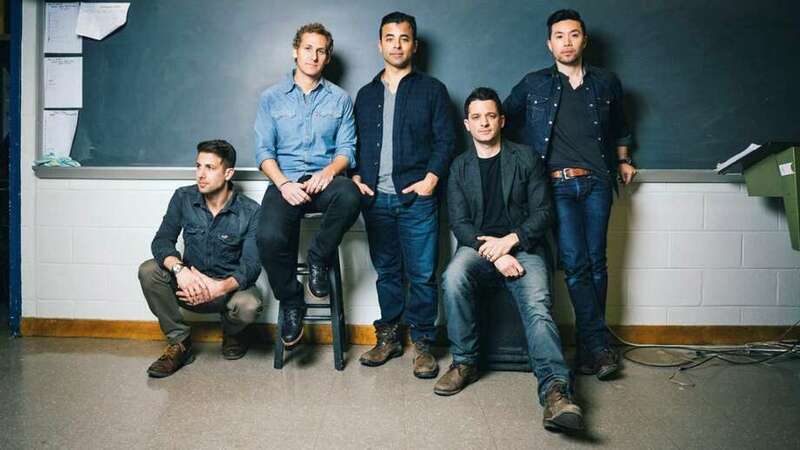 OAR gained popularity in the late 90s and early millennium with hits like "Hey Girl" and "Shattered." STAMFORD — CeeLo Green, Hanson and Third Eye Blind are a few of the musical acts slated to perform this summer at Alive@Five, which since its inception has become one of the region’s most popular music festivals. The series, organized by the Downtown Special Services District, takes place on Thursdays in July and August and draws thousands to Stamford’s Columbus Park. The hotly anticipated lineup kicks off on July 7 with O.A.R., followed by Hanson on July 14; Third Eye Blind on July 21; Eric Hutchinson on July 28; Easton Corbin on Aug. 4; and CeeLo Green on Aug. 11. Bars and restaurants on Main Street offer outdoor seating and drink specials for the event, which this year will cost $10 to enter before 6:30 p.m. and $15 afterwards. The DSSD has partnered with Budweiser, Reckson, Stamford Town Center and BevMax to put on Alive@Five. The biggest change coming to the festival this year will be its age restrictions: following a spate of arrests last year for underage drinking, those younger than 21 will no longer be allowed admission. Goldstein has said that while the concert brought 40,000 people to downtown in 2015, she expects that number to decline about 25 percent due to the restriction. The change was pushed for by the Stamford Police Department, which has had its hands full with drunk concertgoers. When Sister Hazel played in August, some 10 youths were brought to the hospital or had to be picked up by their parents. The week before, 27 youths were held in a “drunk tent” or taken to the hospital after an Andy Grammer performance. Wuennemann said teens would drink on the Metro-North train and arrive drunk to the concerts, prompting adult concertgoers to complain about the inebriated youths, he said. Concertgoers this year will need to present a current driver’s license, ID card issued by the Department of Motor Vehicles or a passport for admission. Tickets cannot be purchased online. Since launching in 1997 the concert series has been rebranded to feature mainstream headliners. Columbus Park has been visited by the Gin Blossoms, The Beach Boys, MC Hammer, Foreigner, The Wallflowers, KC and The Sunshine Band, Smash Mouth and Sugar Ray. Musical acts last summer included Michael Franti and Spearhead, Boyz II Men and Shaggy.